For regular readers of our blog, I believe most of you (if not all) would be considered as power/super/enthusiastic computer users. You are probably a computer geek, opinion leader among your friends and family. What you probably don't know about is a great resource for you exchange and sharpen your skills even further. Introducing Superuser.com, an Q&A site specifically designed for the rest of us! Meet thousands of other friendly, helpful, knowledgeable super users around the world. It's unbelievably good. Only caveat - you would feel sorry that you didn't know about this earlier - it's THAT good. The Apple Tablet has gathered so many buzz now. However, unlike many other Apple products, people cast doubt with it. Some say it’s too big for mobile computing, some suggested it will be too expensive. But I think the Apple Tablet is going to be the most important piece of computer equipment for the next decade. What the iPhone has bought to the market, is more than just an exceptional mobile smartphone, Apple also bought its top-notch, highly stable, highly capable platform, the iPhone OS to the industry. It’s fancy & easy for the customer to use. And with it’s lucrative channel, the App Store, has gathered a huge crowd of talented developer. This provides the perfect foundation that every computer company hoped for. And the iPhone and iPod touch is just the beginning of what Apple is going after, the embedded computing. Remember all those bar-code scanner that built on-top of palm? Or all those fancy touch screen kiosk you see everywhere? Almost everything device out there with an LCD, can be a potential target market for the Apple Tablet. Traditionally, development of these devices requires a computing unit, and a screen. There are tons of options to choose from, but none of them give them a good operating system. Apple is here to give the industry the best package ever. The palm OS is considering legacy now and the new Palm Web OS is not going to help. The Windows mobile, well, it’s just unreliable for anything serious. Many developers, therefore, choose to start with Linux. The problem with Linux, however, is that open source community is not fast enough to provide all the support needed for a platform. The drivers are slow and it won’t work with some display card, some touch screen sensor, or some of the networking feature. It’s ugly, and the developer are change it by copying from Apple. iPhone OS, while it’s not open source, but it already provide a package of things that works. The Apple Tablet, or the iPod Touch, provide an excellent standard package for these developers. The iPhone OS provides the industry a very robust platform and save them hardware development cost by using the iPod Touch. Imagine this, all the touch screen applications, movie playing kiosks, Bluetooth controller or GPS logger, everything will just work! TomTom is a perfect example of how business can transform from traditional device maker, to a service provider. Consider all the money saved from hardware development, now TomTom can get more profit from selling the software and data alone. They don’t even need to find all the sales channels, the App store give them perfect international exposure to millions of iPhone users out there. While TomTom won’t give up the traditional GPS device model now, but I won’t be surprise that they ditch this old market once the iPhone model can give them more profit than before. The iPhone and iPod touch is already doing magic in many applications. For the starter, there is the GPS software and also the Nike+ integration. There are many people who designed application to allow iPhone to control their RC car, or even military drones. The Apple Tablet, therefore, is an extension of the iPhone, giving developer the same advantage of using iPhone and iPod touch. This new product line-up, will therefore give Apple the flexibility to release multiple variant, and therefore, serving the different need of the embedded market. 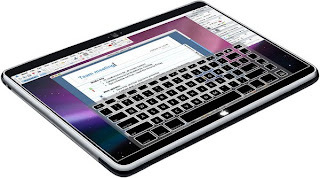 Maybe a small iPod Touch for your desktop machine, and the Apple Tablet for the large medical device, soon, there will be always be an Apple powered iDevice around you. On the verge of the launch of Windows 7, the Free Software Foundation re-wraps Bad Vista 6.1 and launched Windows 7 Sins to attack Microsoft and proprietary software in general. Interesting web site - new bottle, old wine. There is no doubt that Apple has a successful App Store. It is so successful that it served 1.5 billion downloads in 1 year. That's hard to catch up as their CEO put it. 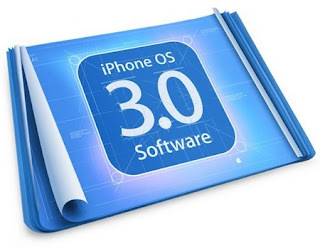 However, the biggest hurdle to the growth of the iPhone/iPod software market and the iPhoneOS platform in general lies in the App Store itself. I am not going to discuss how easy/difficult you can find a good camera enhancement app out of the 100 others doing pretty much the same thing. I want to focus on why the App Store approval saga has become a bad idea and that Apple should abandon it altogether. App approval is damn slow. Take Twitterrific as an example, according to the developer, they submitted the 2.1 version for approval on Aug 6. It finally escaped from the black hole appeared on App Store on Aug 19. That's 13 days of delay before getting into the hands of customers. Please be reminded that it's year 2009 and that we've long been used to instant software and security updates within mins. What if a critical bug is found after publishing? Wait for another 13 days? Can Apple swallow them all? OK, we know there are 50,000+ apps on the store. Even if there is just 5% of them having a new version pending approval, Apple has to process 2,500 apps in backlog. That's a lot of apps! Take our example of "13 days". That's 192 apps per day if working non-stop over the weekend. Apple, can you swallow them? 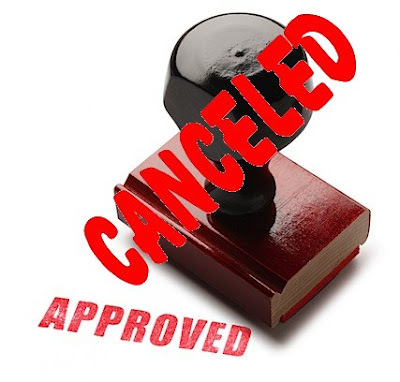 App approval is hindering technology innovation. Now if a typical approval takes 13 days, and we assume that an app has 5 updates in a year (which is pretty conservative). We are talking about 5 x 13 = 65 days of waiting time in the dark! Software developers are losing vast amount of precious time that could have been well spent in the hands of thousands, and in some cases, millions of customers to test, evaluate and give feedback to their product - not to mention the delay in locating bugs, security issues, and delivering fixes and improvements. Now, if Twitterrific has to wait for 13 days, I want to challenge whether Apple's Keynote Remote or Texas Hold'em are subject to the same rules and process as Twitterrific. Please remember, Apple released iPhone 3.0.1 in just ONE DAY after an SMS security vulnerability is made public at Black Hat. Another highly popular app, Facebook 3.0 is believed to be pending approval. According to the author, he has absolutely no ideas on when it will appear publicly. Now, while the (FB x iPhone) world is waiting, we'd like to ask Apple, it's time to Think Different. Server Load Balancing used to be the very center piece of a business network. A few years ago, typical enterprise would host hundreds of specialized ERP, CRM, and Databases servers on the local network. Server Load Balancer would distribute the resources across the servers. Recent years, with the increasing popularity of Cloud Computing, enterprise is moving to the cloud platforms such as Salesforce CRM, Google App Engine, Amazon EC2, Microsoft Azure, or IBM CloudBrust. Cloud allows enterprise to scale their computing resource at a click of a button. All thousands of server can be consider as one single unit. This trend has transformed the way business networks are being built. And with flexibility like this, is server load balancing still necessary? We believe Server Load Balancing will stay, but it will evolve in a form of Cloud Load Balancing. The reason is that even with Amazon or Google experience and expertise on the cloud computing, downtime occurred. Enterprise has to build their own private cloud as backup. 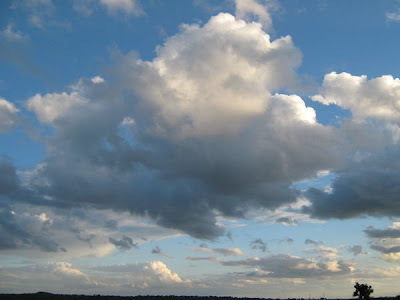 A new cloud load balancing technology will blend the backup into the existing cloud deployment. New cloud load balancing technology will soon appear on the market. This Cloud Balancer, will no longer be a hardware, but as a SaaS that exist among multiple cloud services for redundancy. It will be as simple as a web application that let you key in the essential information such as domain, ports, clouds, and numbers for user sessions. Bingo, a new cloud balancer is now ready to redirect user request, to your own mix of public and private clouds. This will happen so fast that I predict some form of this launch in the year of 2010, and become popular in year 2012. In fact, the F5 guy is also talking about this. Server and SLB will be taken away from office and placed in the cloud. Internet, will therefore, plays an increasingly important role in business networking. This also means for the office, you will now need even more reliable Internet access. With the servers, server load balancer, and the firewall taken away from the picture, the future of business network is as simple as a Router and Switches. A dual-wan or multi-wan router, will soon become the industry standard. This is why we are so enthusiastic about multi wan router. Every once in a while, we see reports of DDoS, or virus outbreak. They damage computers, lower productivity and eventually cost enterprise money. Firewall and UTM are very popular on the market now as a way to protect network from threats like these. However, firewall just doesn’t work. Even with multiple virus engines, most firewall is unable to handle many of threats. Why? Because Internet is no longer the single source of infection, so why don’t you skip the firewall altogether? More and more laptops are sold to the Enterprise market and the worker would bring their laptop to other networks. They start plugging it into home network or share other people’s Wi-Fi, it won’t take long before it gets infected with malware and virus. The laptop travelled around the globe with you, but your firewall is sitting helplessly in office’s server room. What good can they do? One of the most powerful virus media is USB flash drives. You may call it the web 2.0 era floppy disk. USB flash drive is so handy and popular that everyone has at least one. People would copy pictures from home or video from friends, and during the course, contaminate everyone’s computer with malware and virus from the very same USB flash drive. Firewall may have block your internet traffic, but do nothing to protect you from a physical drive! Many big virus outrages are historically spread among LAN computers first. Once they reach a threshold, the explosive effect is something that a firewall cannot handle. LAN traffic pass among the LAN switch are normally not filtered and this is how they spread. Virus does not stop in LAN but firewall stops. Firewall may protect you from the passive Internet activity, but malware and virus, are bought inside the network because of a user’s activity. These phishing website shows flashy ad and catchy title that eventually, clicked by someone who is less aware. Once the malware or virus gets into the network, it will grow from there. Firewall would completely allow this since this is an user action, how useless that is. Every UTM and firewall devices claims they have the world-class SPAM engine. But everyone of them gives you the wrong result from time to time. Spam get into the inbox and important email goes to spam. Moreover, businesses are migrating to online email. This feature simply becomes useless for customer who is having the email server hosted elsewhere. So ask yourself again which part of Firewall you need. The Anti Virus that does not work? Or inaccurate Spam filters?